Trade unions around the world marked international workers’ day last Thursday, 1 May, with a variety of activities. In London, UK, trade unionists and community groups alike came together to celebrate the life of ITF executive board member and general secretary of the National Union of Rail, Maritime and Transport Workers (RMT), Bob Crow. banned celebrations once more, having legalised them in 2009. 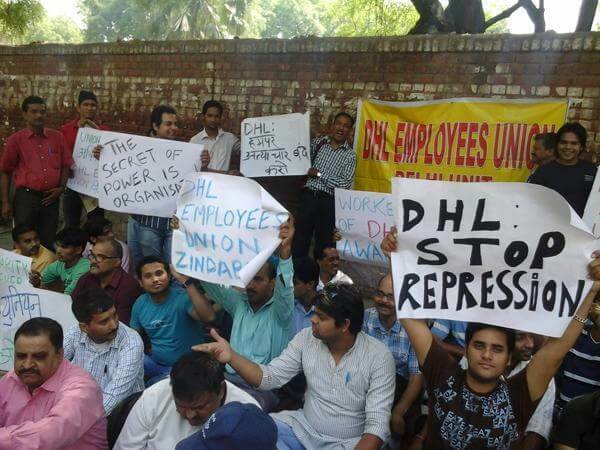 DHL workers in Delhi took workplace leave en masse and marked May Day with a union meeting at Jantar Manter. The International Trade Union Confederation (ITUC) is marking the day with a competition to find the world’s worst boss. The CEO of Qatar Airways, Akbar Al Baker, features prominently on the list, which outlines some of the problems workers at the airline face. TAKE ACTION: use your voice now – who do you think is the worst boss in the world?